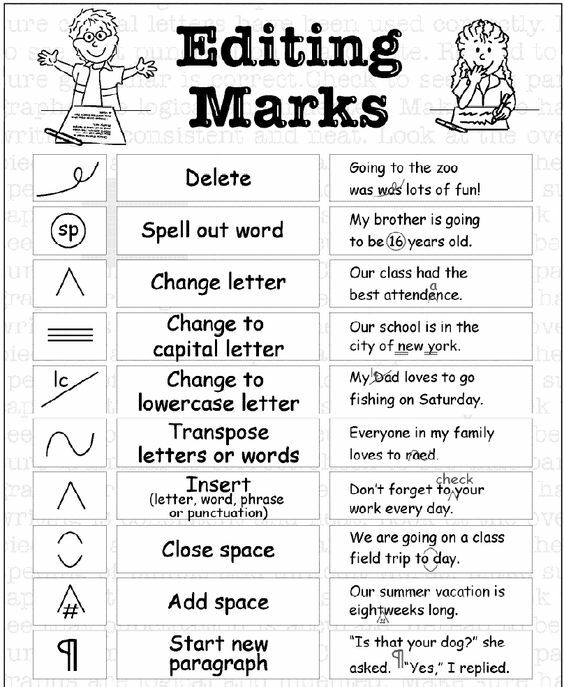 One of the most important things I learned at my mother’s knee was how to use editing marks. A few weeks ago I posted a dialogue with Doug Elwell about his approach to revising his writing. Jean Krieg posted a comment that led to this continuation of that conversation. Sarah: Hi Jean, nice to hear from you! In your comment on my blog, you asked—”Can you provide a rough list of the items you recommend reviewing when editing/revising? That’s such a good question! Here’s a quick “download” of my thoughts on editing and revising….starting with the two suggestions I made at the end of the dialogue with Doug. 1. “What’s not here but should be?” is really about clarity. Could a stranger understand this story? If you were a sherpa from Nepal, would my story of detasseling corn in humid Indiana summers make any sense to you? 2. “Remove unnecessary words” is obvious—and leads to a more interesting rhythm in the language, mixing short and long sentences, instead of allowing the run-ons we tend to write in when doing a first “vomit draft”. I just love playing with rhythm via sentence length. For example, I like to start a paragraph with a short punchy topic sentence, then expand with sentences that grow longer, and finally tying it up with a bow at the end with one short summation or zinger. 3. Focus on characters and their motivations—what they hope for, what are they afraid of, what is their relationship to each other—advocate, adversary, it’s complicated, etc? Are those elements as clearly delineated as possible, and are your words conveying what you intended? 4. Focus on creating setting, sense of place—is it clear where we are, what it looks, smells, sounds like? Could that be heightened to good effect, or would that just be clutter in the story? 5. Action—If I were filming this scene for a movie, what would the camera see? What are the most specific, active verbs that could describe that action? Not “he went” but “he strolled”… “he dashed”… “he meandered…”–without taking it into the territory of cliche, of course. 7. And finally, what I call the “tighten and brighten” — go through and remove unnecessary words (again), and search out passive verbs and make them active. It’s amazing how that alone can make a piece of writing better. I also read the piece out loud several times and it never fails to highlight an awkward or redundant word or phrase. Thanks, Jean, for sharing your tips and moving this conversation forward. Readers, anybody want to chime in with your suggestions and experiences around revising your work? Sarah, I found this piece helpful in many ways, especially replacing “things.” I love that your Mom is the source for many of your comments.